After a long time of surching for a natural result for my eyes i finaly found it. Best stuff ever! I have to save it, use it sparingly, when I really want to look my best! I’m on my second, and last, syringe. I’m really going to have to save it for special occasions now! I wish I would’ve bought it while on my cruise. It isvery expensive and a bit out of my budget on the website. Among the worthwhile shopping I did! Thank you to venofye for the amazing customer service! I love the product. Results are amazing. thank you!!!! It seems an amazing product, I notice the instant effect within seconds after i apply to the fine lines. I wish it provide more info on “how often should I apply?” I was told by the representative that I can even apply under the eyes to reduce the puffiness. And I only have to apply this Viperlift Bio Syringe once a week at nighttime . Then on daily basis, I will use the Royal Jelly Bee eye firming cream for maintenance. Is it advisable to use it under the eyes too? As it only states ” reduce the look of deep wrinkles.”. This is for clarification only. After all, I love this product very much even it is a bit pricey but effective. 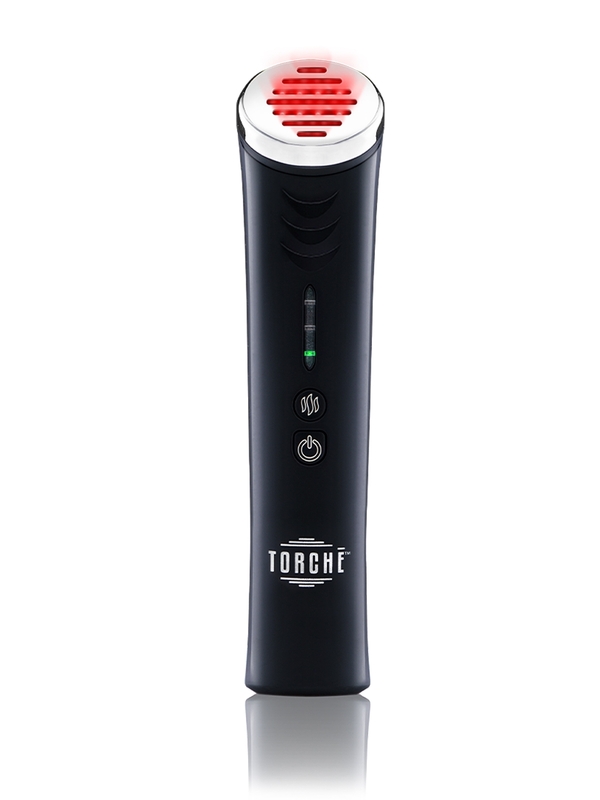 Really loved this product ! It does reduce bags, but under eye where you put it is flaky after a few minutes and lightens your skin. A friend of mine tried and looked like a raccoon (she has darker skin). I tried Instant Facelift – same thing but a lot cheaper. I got this on a whim while traveling in Mexico because the results were so impressive. I absolutely love this product but there is no way I would pay near $1,000 for it. At that rate, Botox is cheaper. I know it wasn’t that much when I purchased it, so I’m kinda bummed to see it so expensive here. However, if you can justify the cost, it is a great product! I am an extremely non-believer when it comes to products getting rid of wrinkles, and I NEVER write reviews but OMG!!! this stuff is amazing! 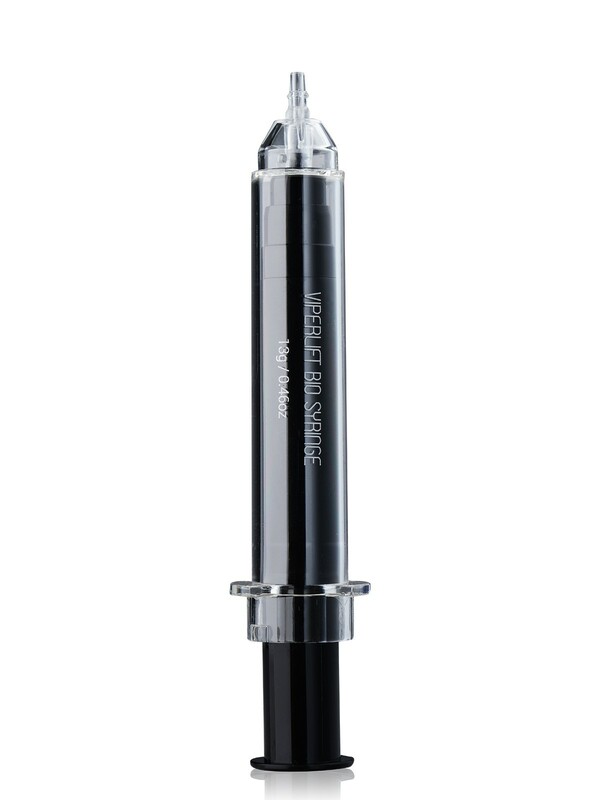 I also am not the type to buy much make up or creams or any of that stuff but today I did try the VIPERLIFT BIO SYRINGE. It is just amazing! Do ask for a discount though, they really helped me…love, love, love! i love this ! works and feels amazing ! my smile looks like a smile now instead of a curtain !! lol..i apply at night. lightly rinse face in the morning? is that right? then apply Bee day moisturizer? correct? thanks i love this skin care line ! Wow ! my eyes look amazing This is the first time that I use treatment like that And I really like it ! Wow. A friend has just tried this on me after buying as part of a promo set in the US. The results are amazing, especially with the Queen Bee moisturiser and would highly recommend. Sadly it’s out of my price range and living in the UK, impossible to get hold of. I was able to try this product while on vacation….I loved it! But good grief…..the price is prohibitive for me…..
got it 3 months ago in Gibraltar Main st and Im in love with the results! just perfect! 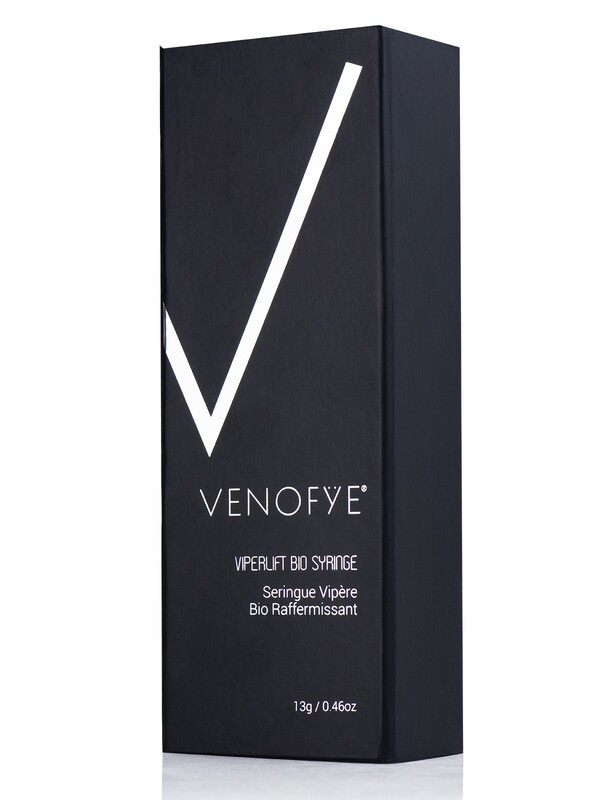 Thank you, Venofye! im using it for 1month and i can already see an improvement! Best product for eyes that i ever tried! Expensive but worth every penny! I really enjoy using this product because it has improved the appearance of my eyes. The price point, however, prevents my using this for any length of time. The results are pretty amazing. I bought the product from Zurich and I can sau that I love it. Finally I see the result that I wanted for so long. Thank you Venofye! As a couple we tried it and instantly it was amazing. Love the products but unforturnally it is to expencive for me. wow !! Amazing results . 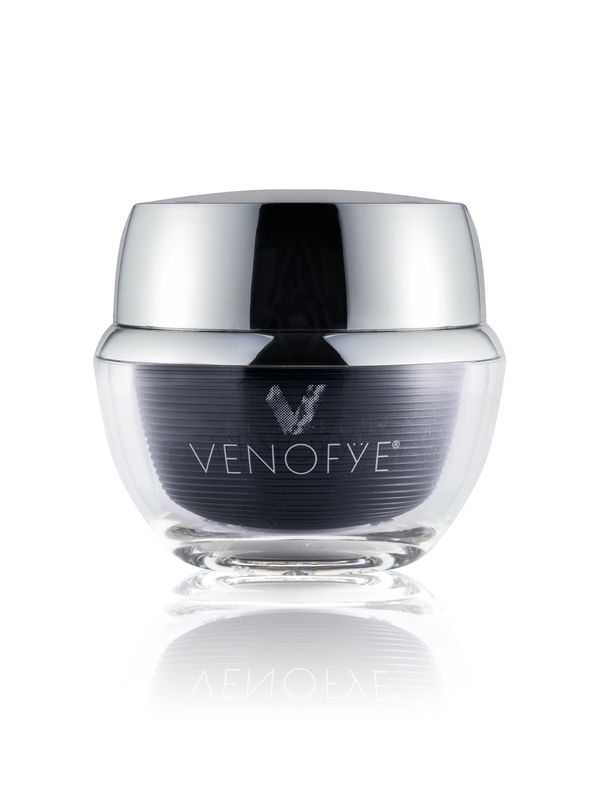 I wish I had taken before pictures…I do believe that this product helped reduce my under eye wrinkles tremendously. I was utterly shocked how well this worked. There is no way I can afford this product though ! Very expensive. I have been purchasing this product for the last 3 years, i have to say its the best skin care product ive tried , instead of getting more lines and losing collagen i build it and get younger every year. Thank you Venofye ! Just returned from Las Vegas where I purchased mine. I love it!!! I have spent so much money trying to find something to get rid of the bags, cholesterol pockets and dark circles under my eyes and I found it with this product!!!!! Now if I could just find the card I was given for reorders at the price I purchased it for. I will definitely be purchasing more. PS-the guy who showed it to us was excellent. Love It !! Cant afford it !!!! Got roped into trying this product while walking in the French Quarter, of all places. I was shocked at how quickly it removed my bags! I bought it immediately which is something I never do! I’m at home now and tried it on my wrinkles around my mouth. Wow! This product really works people! She said to apply it once a week for a few weeks and then use it only as needed after that. I believe her, too, because this is day three after my initial application and I have not had to reapply under my eyes. She said you could extend the product for up to two years. If that turns out to be the case, it is a good buy as well! I was very sceptical – but it really works! I can’t thank you enough, Thank you ! Great Product ! Wow, wow, I am beyond amazed at the instant results. Simply walking through the mall when this young gal came up to me from her kiosk asking if I had a minute. Well for once I did. She applied the magic cream from her syringe under my eye on one side of my face. Within a min I had no more wrinkles or puffiness under my eye. I was amazed. It was a better result than I get with Botox. Even though I was not ready to spend that kind of money, there was no way I was going away without this miracle cream. I look so much younger and could not be happier. It’s so worth the money. I Look At Least 15 Years Younger! I have “11s” and marionette lines. The 11’s are my deeply grooved eyebrow lines from thinking to darn hard and the marionette lines are from my mom’s side of the family and look like deep frown lines around my mouth. I have tried so many products with so many promises only to get dismal results. I wish this site allowed for self uploads of before and after pics because my 11’s are gone and all I have left of my marionette lines are just side smile creases. I look at least 15 years younger. Everyone is asking me “what work did you have done?” I can’t recommend this enough, it is pricey but it WORKS!! wow i’m in love the syringe work amazing! Amazing results within 60 sec!! I never knew that there exist a skin relaxor as effective as this one. Once I found it online, I decided to try it. I have been using it for a week now and I can surely say that this skin relaxor really works. My skin is now hydrated with a wow look. I was in Las Vegas last month ( in the Freemont area ) being on vacation I had gotten very little sleep and my eyes looked terrible I was approached by a salesman and asked me if I would like to try their product and I couldn’t believe how much better my eyes looked, the sagging and wrinkles were gone through out the day I would see a mirror and my eyes still looked good. The next day I didn’t need as much concealer as I usually would I felt better about my face. The next day before I left for home I went back and asked him for another application and my eyes perked up again I was sold since then I have felt so much better about myself the product was not cheap but my face and I are looking and feeling so much better, I love it. Thank you very much for your products I bought the vitamin c serum also it goes well with the Viperlift, thank you again. Purchased this product in Las Vegas … I’m a eye cream addict. I love this product . It really does the job!. Can you use it everyday?. The best product that I ever tried for my eye. Venofye is all I wish to use now. I haven’t found anything which beats their fine line treatments. The Platinum Line Filler can be applied directly to the area of concern and it always leaves your fine lines looking more diminished and the skin feeling smoother than before. I tried out the brand based on a friend’s recommendation, and am totally impressed by what they have on offer. I am completely convinced that this is the best luxury skin care brand you can go for, and never mind that price. Since the products are very long lasting, you won’t feel the need for refills before 9 – 12 months. I am in my mid-thirties and I usually try and keep out of the sun. I have also been serious about my skin care, so wrinkling isn’t an issue till date. However, I do know that I get some sun exposure daily and I occasionally end up missing out on skin care as well. Moreover, I tried out a harsh treatment lately, and that ended up badly for my skin. Came across the Bionyx day cream, and the product seems to be doing an outstanding job so far. I apply this cream every morning and it helps my face look hydrated throughout the day. And I don’t notice any irritation or redness either. So yes, this day cream is certainly recommended!! Excellent Product, fabulous results, highly recommend! Got it on Balboa Island my eyes are just getting better and better! love it !! I was amazed by the immediate effect and even more impressed with the existing result throughout the 4 months I have been using the treatment. Perfect for my deep lines and puffiness! Anyone with even a little loss of collagen,man or woman, should have this treatment! 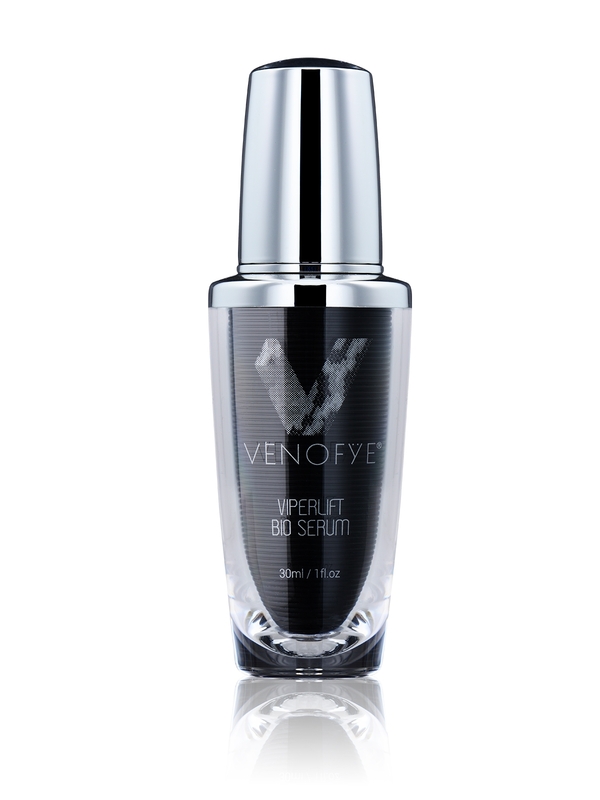 This product is off the charts- it takes the bags from under your eyes completely and adds 20 years to your life. It only lasts about 2 hours the first time and so far I have been using it for 2 months and it lasted about 5 hours the last time I used it. I paid $400 at the Broadway Plaza in Walnut Creek, CA shop, so you can bargain with them. It definitely is worth $400—-if you are sick of the bags under the eyes. They say the syringe is suppose to last 6 months, using a spot then applying under the eyes twice a week. It certainly makes you more beautiful! What Can be better than that ! I was introduced to this product at The Make Up Show in Orlando by Shimi. I was amazed at the disappearance of the bags, fine lines around my left eye and had to go back two hours later to have him do my right eye. I have purchased two kits: one for myself and to use on my clients as a Luxury Treatment for their special events. Once they get spoiled with this treatment I know they will purchase for their own use. THIS IS AN AMAZING DISAPPEARING PRODUCT. First, I was hesitant to buy an expensive facial products. I used all the name brands and I break out. I have a super sensitive skin. Sasha at Valley Fair Mall tried it on my husband and I. OMG! we saw the results instantly. We were sold! We bought 2 of these for sensitive skin one. It’s been 1 week, and we tried it 2x this week. We love it! We see the difference on our under the eyes lines or puffiness. I also dab it on my forehead laugh lines. It really works! Worth your money! Absolutely magic. Like botox, seriously???? Yup. Buy it. my skin tightened up, brightened up smoothly, for a younger appearance that lasts and lasts. simply amazing. The products are amazing and I was treated as if I were one of their best friends! They really cared about me and showed my what this skin care product could do….and it is amazing. I work long hours….but now I do not have to show it! Thank You! I am usually skeptical of these products but was immediately convinced by the results. thank you.. I used the syringe on the deep 11’s in between my eyes, and within 15 seconds, I could feel it working. In less than 5 minutes, they were almost gone!!! I couldn’t believe it! I had tried Botox twice and it didn’t even come close 2 what Viperlift did!! Truly amazing!! Amazing!!! I love this product!!!! Thank you. This product is an instant fix with long term results! As close to miracles as you can come in the aesthetic world of eye care , within 10 minutes my dark circles , puffiness and lines vanquished . Hard to believe! A friend let me try it . The miracle would be to make it affordable. This product really works. My frown lines and my deep creases between my eyes. Fine lines under my eyes have decreased as well. This LiftBio is MAGIC !!! I love it ! I love the product! I use to do Botox now it’s a great alternative way! Went to gem show and was shown Venofye product for removing bags under eyes. It really worked and will be trying it to see if it will continue. It seems like a great product. This is a great product, it’s just a little pricy. This product has helped with my crows feet and my forehead wrinkles in ways I didn’t think were possible.. It has only been 6 months but I cant wait to see what happens in one year! I bought 3weeks ago when I shopped south gate mall, Venefaye store manager recommended me. I tried that store and bought with other products. Those were excellent . This product does work but I will never buy this again!! I need to let everyone know that they tell you how long it will last.. Not even close I used it for my eyes about 3 xs a week and in 2 months it was gone!! Not worth that to pay this much for it shame on you!! This is the first “beauty product” I have ever tried that made an immediate and visible difference in the appearance of the bags under my eyes and wrinkles around my eyes. I wish I had this before my daughters wedding because it males me look 20 years younger. I cannot believe the results when I use the bio syringe on my under eye bags. The bags disappear completely within minutes and the product doesn’t leave a residue under my eyes. The effects last for quite a long time. Really happy with the results. Amazing results after a week that i am using this product! After 6 months that i am doing it once a month i have no line at all. Changed my life!!!! Worth every penny! Amazing! I was quite skeptical at first but the difference under my eyes is night and day. One of the most amazing product I can find out there!